A car accident is never fun, and dealing with insurance companies while trying to heal can be overwhelming. Yet the actions taken in the immediate aftermath can make the difference between getting a fair and reasonable settlement and being left holding the bag. From Houston attorney Jerome Fjeld, here are some tips for a car accident insurance claim. What happens in the first 24 hours is vital to proving a case. Write down everything that happened immediately before and during the accident, as well as such factors as weather conditions and anything else you think may be important. Exchange insurance information with the other driver and gather contact details from witnesses. Write down any conversations with involved parties or witnesses. Take detailed photos of the scene, the vehicles, and any injuries. Have you heard that a picture is worth a thousand words? This is especially true in a car accident case. These photos help the insurance companies understand exactly what happened. Seek medical attention immediately. Some injuries take time to show symptoms, but it can be difficult to claim damages for injuries that are not documented right away. Insurance companies love claimants that delay treatment or have gaps in medical care. Call the police for a report, even if damage seems minor. Many insurers will try to hold it against you if you make a claim without a police report. Involved parties should also call their own insurance companies as soon as possible. Texas, like many states, has a comparative negligence law. This means that damages are reduced by the amount that the injured party contributed to the accident. If the injured party was 51% or more at fault, no damages are paid at all. This makes even seemingly simple cases tricky, as both insurance companies have a financial stake in raising the other party’s at fault percentage. Therefore, victims must self-advocate or engage an experienced lawyer to advocate for them. The statute of limitations states how long accident victims have to file a lawsuit. In Texas, the statute of limitations on car accidents (as well as truck, motorcycle, pedestrian, and bicycle accidents) is two years from the date of the crash. This applies to both injury lawsuits and property damage suits. Therefore, it is in victims’ best interest to start the claims process as soon as possible to ensure that if a lawsuit is needed, there will be plenty of time to file it. Car accident claims are complicated to value, as there are dozens of factors involved. Pain and suffering, loss of future earnings potential, and other considerations must be valued alongside such cut and dried expenses as current medical bills and vehicle damage. Insurance companies want to settle for as little as possible, so it is important not to sign anything prematurely. It is always best to speak with an experienced car accident lawyer. Even a seemingly simple claim could be affected by allegations of fault, and both vehicle damage and injuries could turn out to be more expensive than first anticipated. A skilled lawyer can quickly assess the case to determine reasonable compensation, can negotiate with insurance companies, and can bring a lawsuit if needed. As fees are not charged unless the plaintiff collects damages, there is no reason to avoid seeking legal advice. 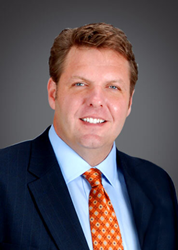 Attorney Jerome Fjeld was named one of Houston’s Top Lawyers for personal injury by H Texas magazine. With more than 17 years of personal injury law experience, he provides supportive counsel and honest advocacy for each client. He is committed to ensuring that his clients receive the compensation they deserve. To learn more about the firm or to request a free consultation, call (713) 572-6446. The firm’s Houston office is located at 5902 Irvington Blvd, Houston, TX 77009. The firm also has an office in Victoria, Texas located at 5606 N Navarro St #200, Victoria, TX 77904. Find out more information at https://www.bayoucitylaw.com/.